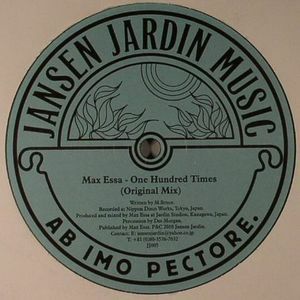 Two producers fresh from releasing highly impressive long players return to the trusted 12" single format via Jansen Jardin. 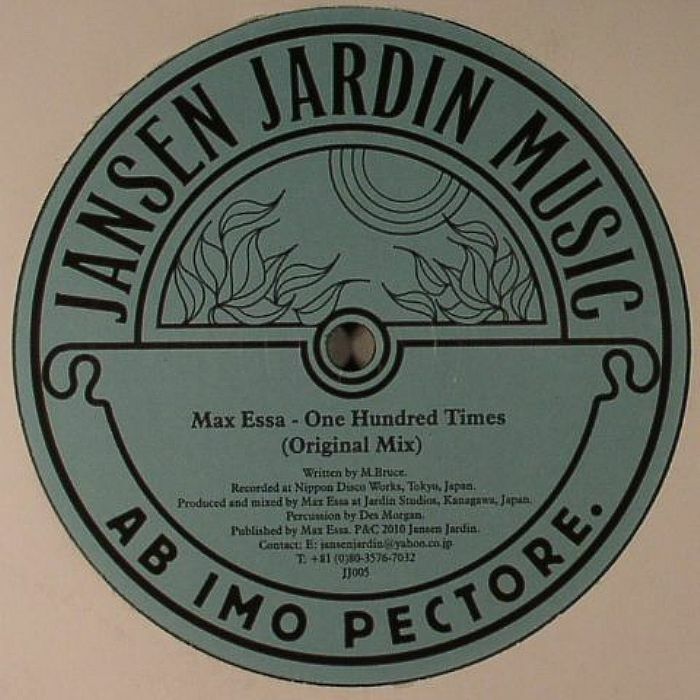 Japan based multi instrumentalist Max Essa, to whom we doffed our caps in acknowledgement of his wonderful White Shoes Blue Jeans LP, turns in the original cut here. "One Hundred Times" contains everything one could possibly hope for in a Max Essa release: sparkling 80s synths, tumbling piano, sunshine-soaked guitar licks and a nice rolling groove. 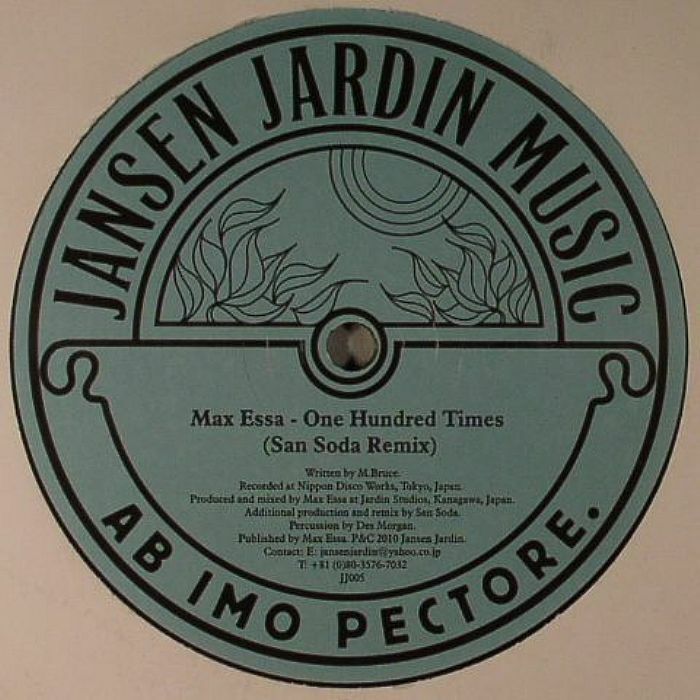 San Soda, who released one of 2010's best LPs in Immers & Daarentegen via We Play House, turns in a remix punctuated by soaring synth washes, a tough 90s house beat and a twinkling melody. By the time the piano comes in towards the end, San Soda has elevated you to a state of aural bliss. Essential 12".